THIS WEEK RAPPER T.I HAS TAKEN BACK THE TOP SPOT ON THE BILLBOARD HOT 100 WITH HIS EVER POPULAR COLLABO WITH “IT GIRL” RIHANNA “LIVE YOUR LIFE”. BEYONCE’S “SINGLE LADIES” WAS #1 LAST WEEK, HER 5TH SOLO CAREER CHART TOPPER. BRITNEY’S NEWEST SINGLE “CIRCUS” HOT SHOT DEBUTS AT #3 DUE IN PART TO THE 212,000 PEOPLE THAT DOWNLOADED THE SONG THIS PAST WEEK. T.I IS THE ONLY ARTIST WITH 2 SONGS IN THE TOP 5 AND THIS HAS BEEN THE CASE FOR WEEKS. HE’S KILLING THE GAME RIGHT NOW! NO ONE LOVED “SINGLE LADIES” WHEN IT FIRST HIT RADIO… EVERYONE THOUGHT IS WAS COOL BUT WEREN’T ALL THAT IMPRESSED BY IT. FAST FORWARD TO THE VIDEO’S DROP: THE CHOREOGRAPHY WAS SURPRISINGLY HOTT AND WE HAD NEVERRRR SEEN BEYONCE DANCE SO MUCH. SASHA WAS INDEED FIERCE WHICH INTENTIONALLY STRENGTHENED THE SONG, MAKING IT MUCH HOTTER THAN PREVIOUSLY PERCEIVED. ONCE WE WERE ALL INSPIRED BY THE CHOREGRAPHY THE SONG BECAME A MAINSTAY, WHICH IS EXACTLY WHY ITS #2 ON BILLBOARD THIS WEEK AND WILL QUITE POSSIBLY DE-THROWN THE SEEMINGLY EVINCIBLE T.I AND BECOME BEYONCE’S 5TH #1 SINGLE AS A SOLO ACT. WE CONTINUE TO WATCH HER PERFORMANCES IN HOPES THAT SHE’LL DO SOMETHING DIFFERENT BUT SHE NEVER DOES. SHE IS CHAINED TO THE EXACT SAME PERFORMANCE AGAIN AND AGAIN AND AGAIN. WE’RE USED TO HER SURPRISING US AND BLOWING OUR MINDS ON STAGE, HAVING THAT OUTTER BODY EXPERIENCE THATS EVIDENT DURING HER SHOWS. THATS THE PROBLEM. BEYONCE MAY HAVE ONLY MOVED 482,000 COPIES OF “I AM…SASHA FIERCE LAST WEEK BUT HER SINGLE “IF I WERE A BOY” IS NUMBER THREE ON THE BILLBOARD HOT 100 WHILE “SINGLE LADIES” ROCKETS FROM 28 TO #2 ON THE CHART. 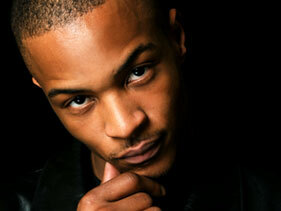 T.I HOLDS ON TIGHT TO THE #1 SPOT BUT WILL LIKELY FALL VICTIM TO B’S STING NEXT WEEK. BEYONCE IS ON TOP OF HER GAME RIGHT NOW WHETHER HER HATERZ WANT TO ADMIT IT OR NOT!!! A FEW WEEKS AGO BEYONCE’S SINGLE “IF I WERE A BOY” JUMPED FROM SOMEWHERE IN THE 60S TO #3 ON BILLBOARDS HOT 100. THE FOLLOWING WEEK KATY PERRY AND PINK SUCCEEDED HER AND OCCUPIED THE 3RD AND 4TH SPOTS LEAVING BEYONCE AT #5. THIS WEEK SHE’S BACK UP BUT HAS AGAIN FAILED TO PUSH T.I FROM ATOP THE CHART. HIS CLUB HIT WITH RIHANNA FIRMLY SITS AT #1 AND “WHATEVER YOU LIKE” HOLD NUMBER 2 A SECOND WEEK. BEYONCE KILLS “SINGLE LADIES” LIVE NO MELODY!!!!!!!!! FINALLLLLLLYYYYYYYYYYYY A COMPLETE PERFORMANCE OF THIS SONG WITHOUT “IF I WERE A BOY”. SHE KILLLLLLLLLLLEDDDDDD ITTTTTTTTTTT!!!!!!!!!!!!!!!!!!!!! THATS BE. ALBUM DROPS 11/18/2008, GET READY!!!!!!!!!!!!!!!!!!!!!!!!!!!! !